In the premier league of custom builders, Diamond Atelier’s place is secure. 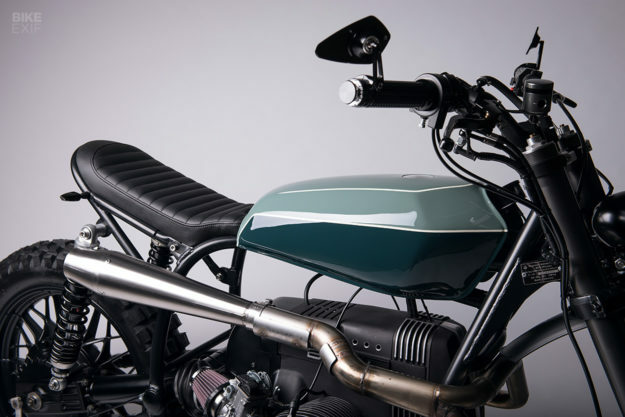 The sleek creations of the Munich workshop look better than most factory-built show bikes—and they’re perfectly usable too. But Tom Konecny and Pablo Steigleder don’t just design one-offs. Their ‘Mark II’ BMW café racers are in limited production, offering a faster and more affordable way to obtain that Diamond Atelier magic. 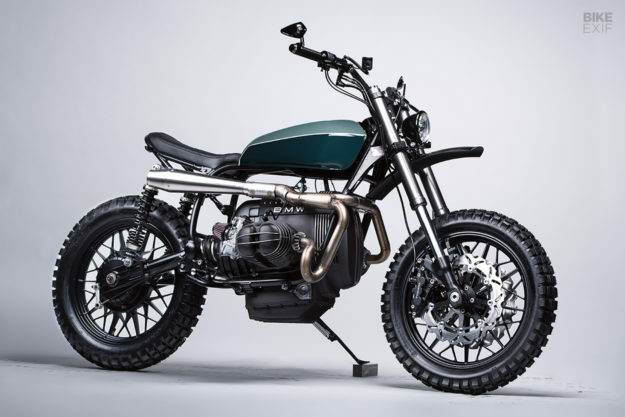 And they’ve now just launched another ‘family’ of limited production BMWs, a series of stylish scramblers based on the R65. So Tom and Pablo have now broadened their portfolio. 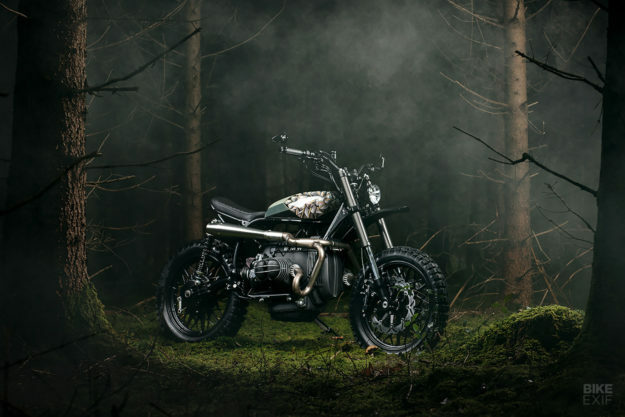 Meet ‘Groot,’ a series of scramblers that’s had us quickly checking the health of our bank accounts. 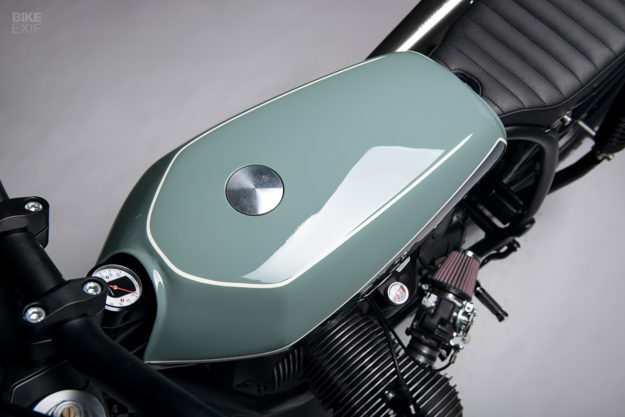 Diamond Atelier have never claimed to be BMW specialists, but their love for the iconic 2-valve airhead is obvious. 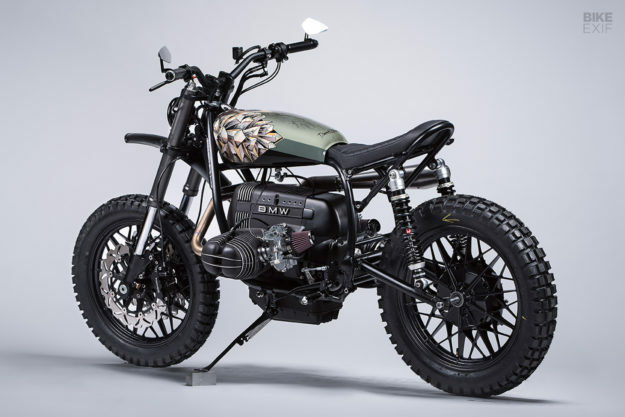 Groot is based on a 248-spec R65, which can comfortably exceed 100 mph and weighs around 450 pounds fully fueled. 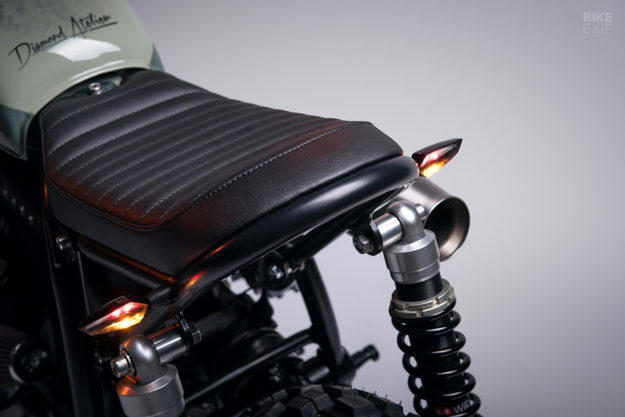 The proportions are stunning, helped by a custom-made rear frame above the twin shock swingarm. The wheels are BMW ‘snowflakes’ and 18 inches both front and back, shod with Continental Twinduro TKC80 rubber. BMW’s engineering on the original R65 was just fine, but suspension technology has improved a lot over the past four decades. With high-riding suspension and a slim gas tank, there’s plenty of space around the iconic engine. But this is no stock boxer: it’s been fully rebuilt with a kit from the famed BMW performance house Siebenrock. 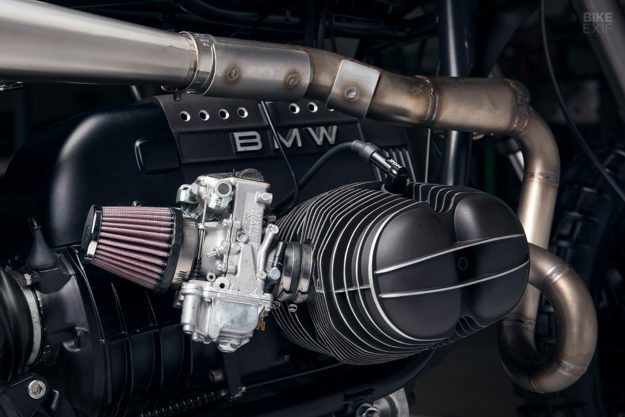 This bumps capacity up to 860 cc via Nikasil-coated cylinders and weight-optimised forged pistons, delivering a substantial increase in both torque and horsepower. 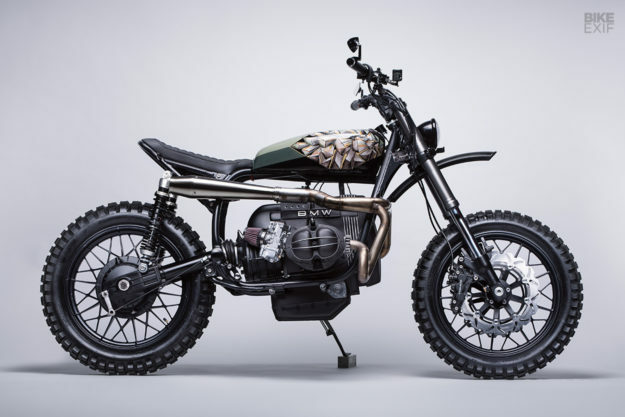 “It makes Groot a ‘BMW R86,’” says Pablo. After installing the refreshed engine, Diamond Atelier approached Mikuni guru Stephen Topham, who hooked them up with a pair of brand new TM36-31 carbs. The electrical system is all new, and neatly tucked away. There are several components from Motogadget, including a Bluetooth m.unit control box, a keyless RFID ignition, and CNC-machined grips. 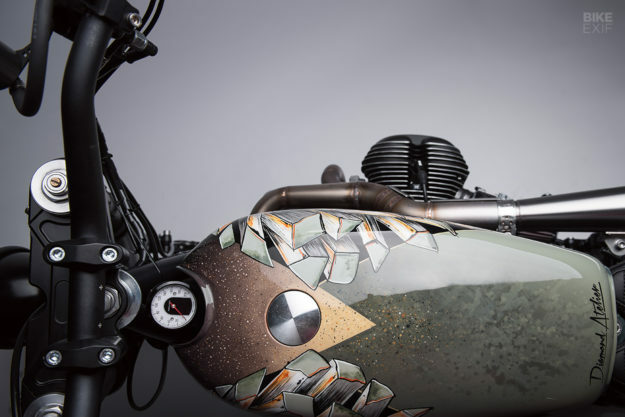 The mirrors are Motogadget’s latest m.view innovation, with polished aluminum instead of glass for the reflective surface. 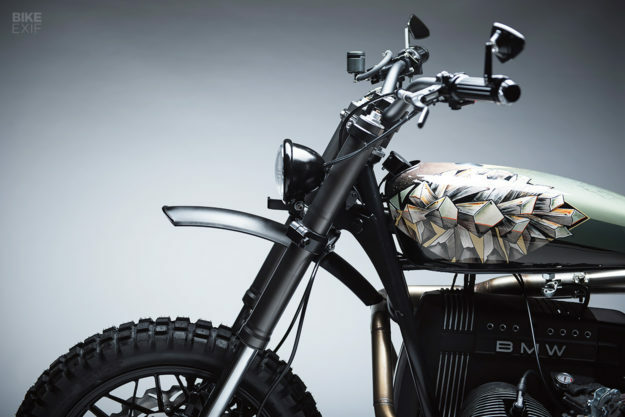 Although this is a series bike, there are plenty of personalization options. 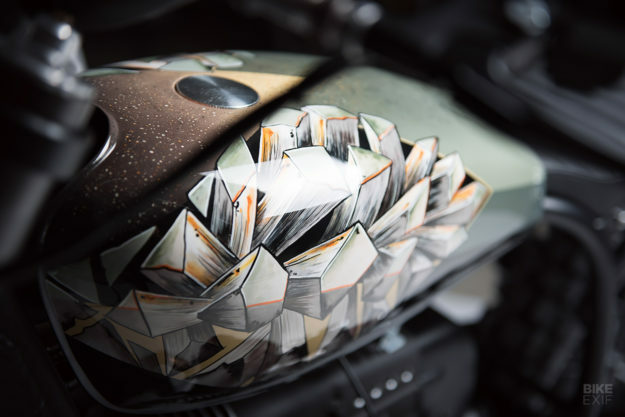 Buyers can specify a custom paint job: “Dark metallic colors with race-oriented patterns create an edgy and urban feel, while lighter pastels have a more old-school vibe,” says Pablo. The gas tanks on these R65s can be changed in less than five minutes, thanks to a neat plug-and-play setup, so you could even have two different tanks on hand. And if you want a matching helmet, Diamond have teamed up with Hedon to take care of custom orders. 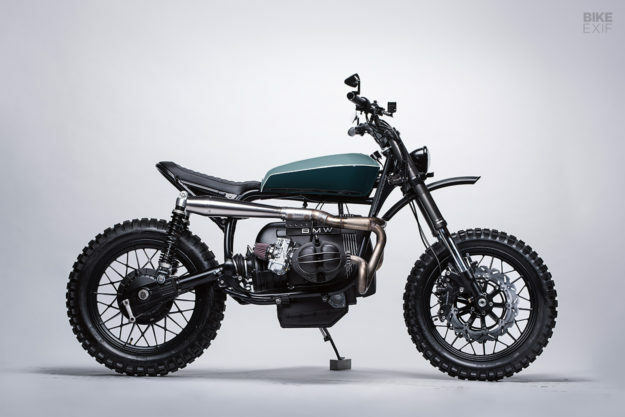 Groot is the kind of bike you could use to escape for a few hours on a Sunday morning. And it’s also compact enough to fit in a cradle on the back of a campervan. 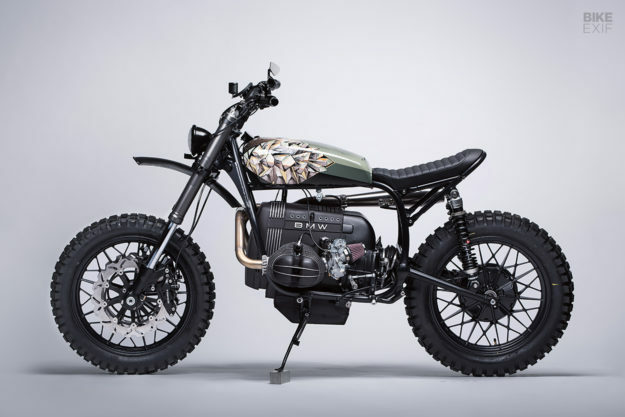 If you love leisurely rides down fire trails and dirt roads, but can’t bear the shiny plastics of most modern dual sport bikes, you’ve got another option right here.